The banding has been influenced by the presence of stalactites in the lower left in this photograph. If stalactites were the cause then that area must have been the roof of the agate when it was forming. A beautifully wind worn break across the back shows water level banding with the same orientation so that the idea that these were stalactites seems confirmed. This specimen seems quite important for that reason in the study of the 'stalactitic patterns' found in agates. See the back in next image. 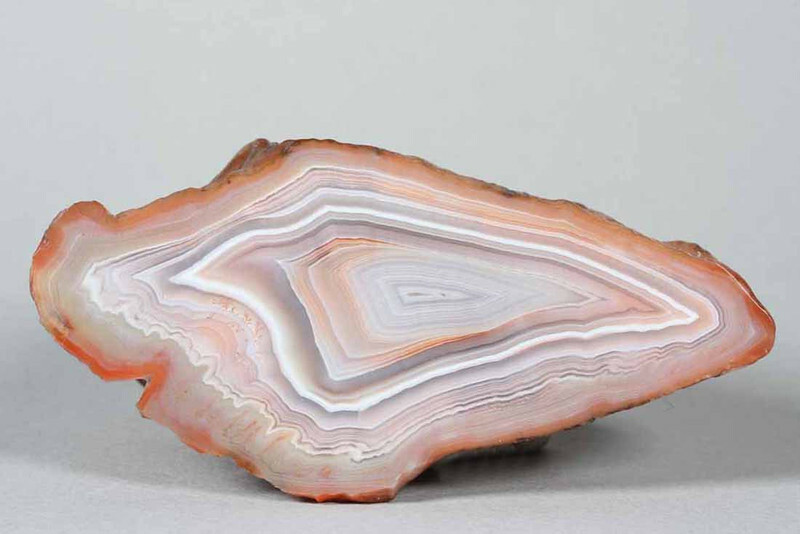 Oh yes, I should mention that it seems to me to be one of the most beautiful agates in this lot.